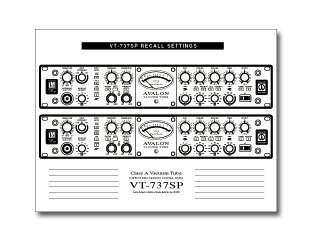 You can record your Avalon settings on Recall Sheets. The Recall sheet is a one page line drawing of the front panel for you to mark your settings. Note: Be sure to set printer properties to "landscape" when printing recall sheets.